For the fiancé, who has been a happy member for almost two years, it was absolutely clear to write an email to car2go in North America. In this email he explained his desire to use car2go as a wedding car on his special day and asked for an exceedingly spick and span one. Initially, his fiancée was less enthused about that, because she thought her dress won’t fit in the car, but her fiancé was able to wash away any fears and convinced her. The car2go colleague, who received his email, rejoiced about this unique request and the car2go team started brainstorming immediately, how to best realize his wish. 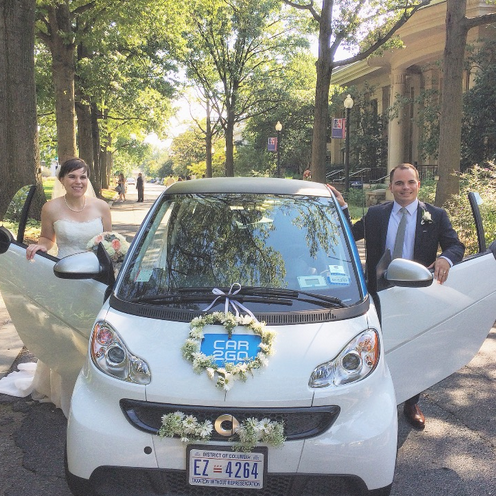 So, car2go became part of the wedding custom: something “blue” and something “borrowed”. 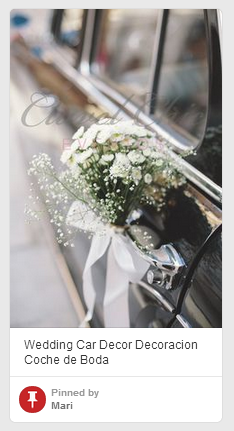 The vibe for decoration of the wedding vehicle was „vintage“. 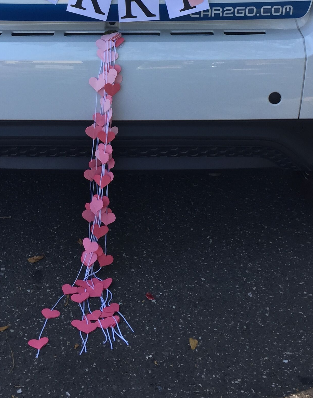 The employee received an email from the fiancée with several ideas and suggestions of Pinterest, to get an idea how the car2go should be decorated. 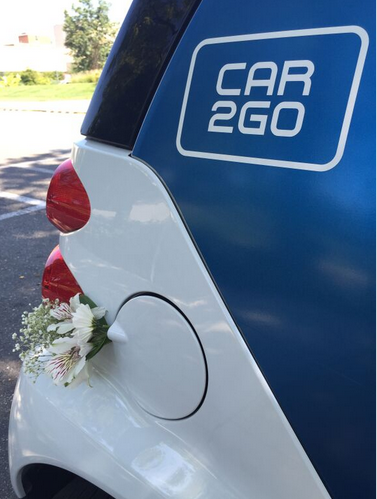 On the wedding day the car2go was prepared for the celebration. The car2go employee decided to visit the best floral shop close to the office and instructed the florist with the details and shared the Pinterest ideas. Back in the office and some YouTube videos later, the staff member became the wedding planner and created a wreath of flowers within an hour. 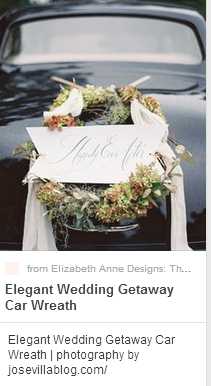 Afterwards, she hopped in the car and met with the groom at the agreed meeting point. While she decorated the car, the car2go stood in the center of attention and many wedding guests stopped, because they were so fascinated. 30 minutes later, the employee could already look with pride on the decorated car2go. Especially the mother of the bride was extremely happy and thanked for the efforts from planning through to implementation. From thenceforth, the small car2go smart was on the journey to happiness. 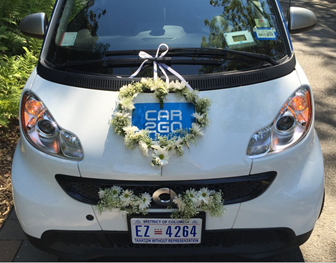 The car2go team wishes these and all other happy couples a good journey together. 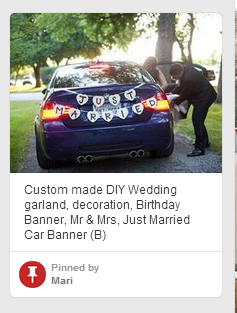 Have you also decorated a car for a special occasion? And how does your result looks like?